Small, medium, and large storage unit rentals can now be yours in Tucson, AZ. 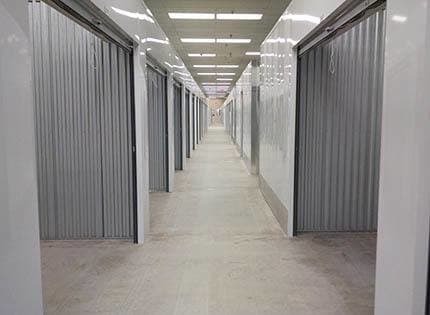 At StorQuest Self Storage, we offer residential and commercial storage spaces for rent that are both clean and affordable. Our storage lockers range in size from 5X10 (50 sq. ft.) to 10X20 (200 sq. ft.). We provide month-to-month rentals and discounts for students and military personnel. Whether you need temporary or long-term storage, we can help. 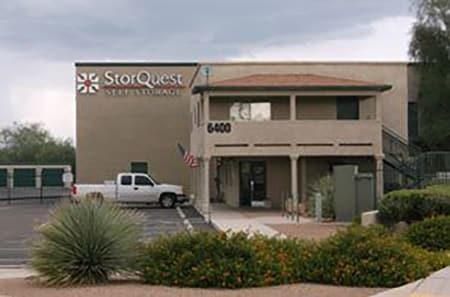 The StorQuest Self Storage facility near the University of Arizona features wide drive-ways for easy access. You will also appreciate the dollies and carts we provide to help improve your moving process. Our facility is fully fenced and well-lit – inside and out – for your comfort. RV storage is available at StorQuest Self Storage. For RV accessories, visit us in our office. We will be happy to show you the products that are right for your motorhome, camper, or fifth wheel. The heat in Tucson can be downright scorching at times. While it may be uncomfortable for you, it is just as bad for your stored items. Not only can it damage photographs, paperwork, artwork, and upholstered furniture, it can also result in the growth of mold within your storage locker. But you can fight the heat with StorQuest Self Storage's climate-controlled storage units. Each of these storage lockers is maintained at a constant 78 degrees. Ask our friendly and professional staff for more information on temperature-controlled storage at StorQuest Self Storage Tucson. We offer these units in sizes 5X10 (50 sq. ft.) and 7X10 (70 sq. ft.).